Backlim respresents a kind of a renassaince in flavor for the asparagus plant. Bred both for white spear production as well as field grown, Backlim rates as one the highest in the flavor department. (Yes, there really is a place that tests asparagus flavor. And they are serious-maybe even more serious than the wine testers if thats possible!) Backlim is mild in flavor and has a crispy, low fiber texture. 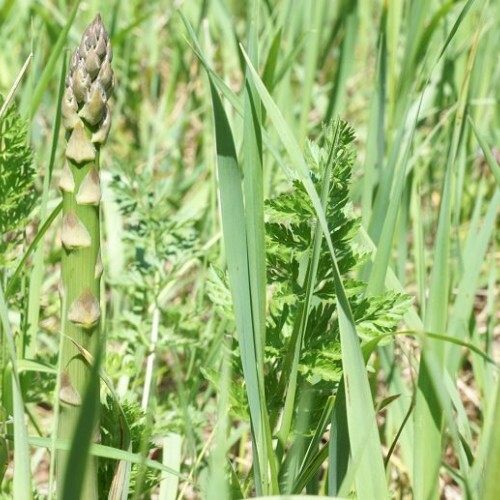 It was one of many selections bred to increase the acceptance of asparagus to a wider audience including those who are not particularly fond of asparagus. 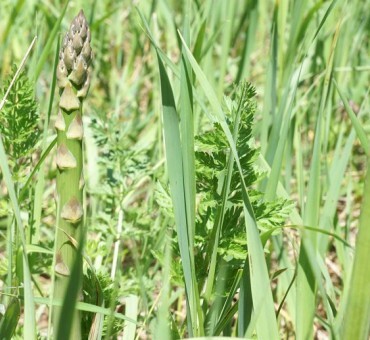 Grown from seed-said to produce all male asparagus with little or no berry production. Our plants are transplanted twice and are two years old grown in pots. Developed for northern temperate climate. Very easy to grow. Mulch if you got it. Space 4 feet apart either way.